It is composed of 33 islands that are located off the coast of Saudi Arabia and has been the most important trade route for more than 4000 years in the Gulf. Unlike the most Arab countries, Bahrain’s main source of income is not oil. Instead, it adopted liberal economic policies and it has grown consistently over the last 10 years. It is now considered as one of the “High Human Development” countries in the world. Having a privileged location, Bahrain has benefited this advantage and became the most diversified economy in its region and it is also the social and cultural hub among the other countries around. The name Bahrain means “two seas” in Arabic and defines literally the perfect position of the country. Before you visit Bahrain, you may think that it’s a conservative and strict country but on the contrary, Bahrain is popular with its social liberalism and not applying the strict Islamic rules on non-Muslim people although it is one of the first countries that converted to Islam. 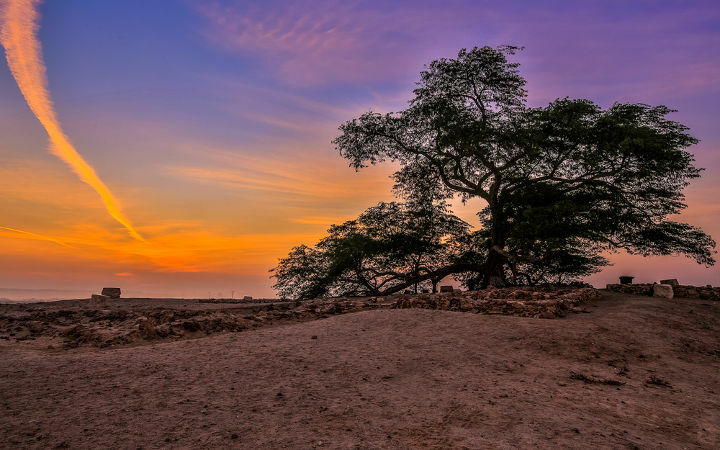 Being the site of that ancient land of Dilmun civilization and dating back to 5000 years ago, Bahrain also offers a rich history and cultural diversity to its visitors. As well as being a conservative Muslim country, the nightlife is also vivacious and highly touristic in Bahrain. During your trip you may have difficulty catching up with the speed and energy of Bahrain! Bahrain is an archipelago that is located near the western shores of Persian Gulf. Considered as the main entrance of the Manama Souk, Bab al Bahrain is an iconic building in Customs Square. The ground floor of it serves as a tourist information office and souvenirs shop. Below its arch, there stretches the Government Avenue that houses many major banks and shopping centers. 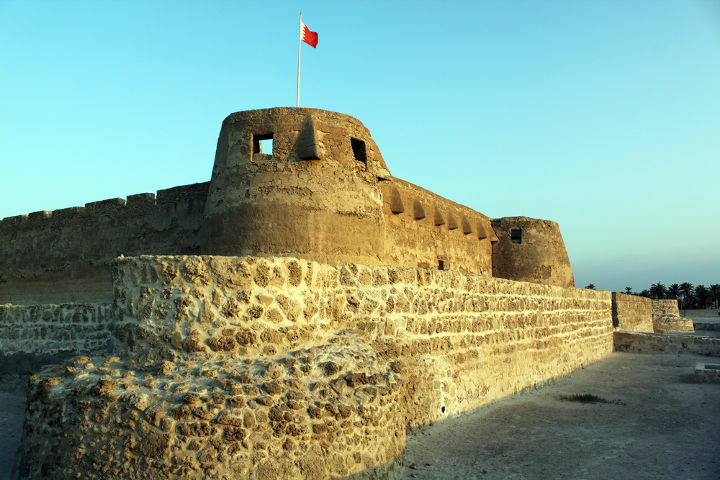 Bahrain Fort or Qal'at al-Bahrain is an archaeological site that is under the coverage of UNESCO World Heritage Site. It is located off the northern shore and approximately 10 minutes’ drive away from Manama. 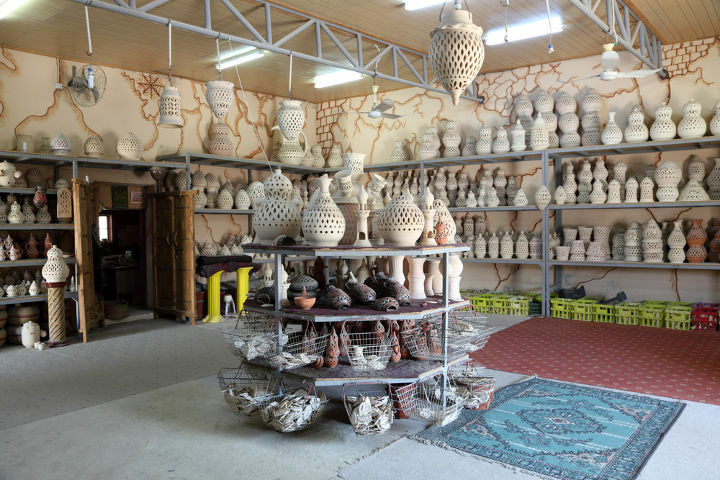 Next to the fort, there is a museum that exhibits artifacts from ancient Dilmun civilization. The Bahrain Fort is open daily between 8 am-6 pm and the museum is open between 8 am – 8 pm. It is closed on Mondays. Arad Fort that is also known as Qal'at 'Arad dates back to 15th century is a typical Islamic fort. Overlooking the sea passages of the seashores of Muharraq. It is located so close to the Bahrain International Airport, Arad Fort may be the first stop of your Bahrain trip. The fort is square-shaped and each corner of it there stands a cylindrical tower. And it is beautifully illuminated at night. This magical tree is located in the middle of a barren desert -that is 10 km away from Askar- with all of its liveliness. It is believed to be at least 400 years old and visited by 50000 people every year. An ancient temple in Bahrain dating back to 3000 BC is Barbar Temple. It’s a heritage from Dilmun culture and one of the most popular tourist attraction in Bahrain. Shopping in Bahrain is so advantageous because the prices are reasonable compared to most countries and most sellers are open to negotiation. As well as the luxury shopping centers, flea markets are common in the country in which you can find anything from electronics to herbs. Once you are in Bahrain, never return to your country without buying at least one of the items below because they are the most popular things to buy in Bahrain. Pearl industry is highly developed in Bahrain thanks to its position in the Gulf so rare pearls can be found in Bahrain as souvenirs for your friends and family. In Bahrain cuisine, various spices are used so they are widespread in the country. If you like to try different herbs and spices in your recipes, you can buy some unique spices from Bahrain to take home. In Bahrain, you can find the best carpets in the world from Turkey, China, Afghanistan and more. So if you are interested, don’t miss the chance to buy these spectacular carpets at more reasonable prices. Gold is another popular item to buy in Bahrain because the prices are low and the craftsmanship is matchless. You can also find 21, 22 or even 24 carat gold in Bahrain unlike western countries. Bahrain import most of its food from other countries because of its limited land space. Cucumbers, dates, bananas, and some tropical fruits are common in the country thanks to the climate and fish is one of the most popular dish in the country and it is generally served with rice. Like other Arab countries, Tabouleh, Hummus, Shawarma, Falafel and kebabs are also popular and spice and herbs are widely used in the recipes. Since date palm trees are so common in Bahrain, date is also used in many recipes especially in desserts. 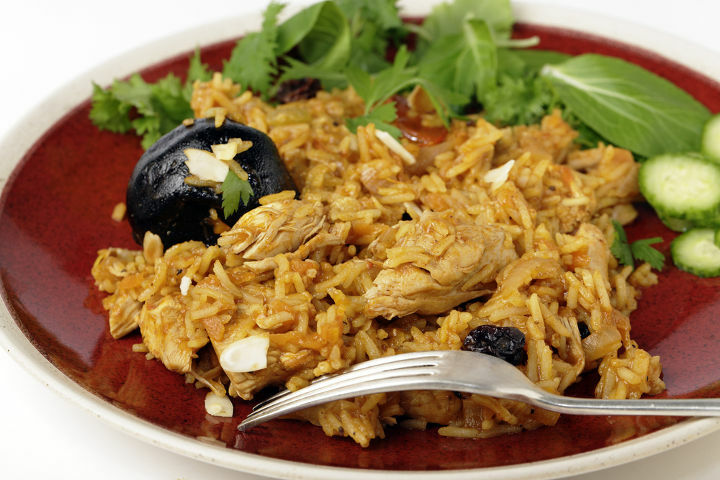 Machboos is one of the most popular dish in Bahrain that is made of rice and meat. The meat can vary according to the taste (chicken or lamb) and the rice is seasoned with herbs and spices. Dried fruits like nuts or walnuts are also added. Fish dishes are of course popular in Bahrain thanks to its location and the most preferred fish is rabbitfish. It can be grilled or stewed according to your taste and make a healthy and satisfying meal accompanied by rice generally. Halwa Bahraini is the most popular dessert in Bahrain, also known as Halwa Showaiter. Halwa can be found in many eastern countries in many different variations but Halwa Bahraini is like no other. The main ingredients are corn starch and rapeseed oil. Rose water and the saffron are also other distinctive flavors of this gel-like dessert. Qoozi is another popular dish in Bahraini cuisine that is grilled lamb stuffed with boiled eggs and rice. It is also seasoned with herbs, spices and herbs. Before you travel to Bahrain, it will be wise to check if it requires visa from your country. For more information about the visa requirement, you can visit the official website of Bahrain Ministry of Foreign Affairs. Being the cultural, social and financial hub in the region and having a privileged location, Bahrain has grown so rapidly that it is now a highly popular country as a business and academic events venue. The country’s economic position and the physical amenities are so favorable that especially for the last 10 years Bahrain has become one of the first choice of the event organizers when it comes to decide on the event venues for congresses, conferences, trade shows and fairs.